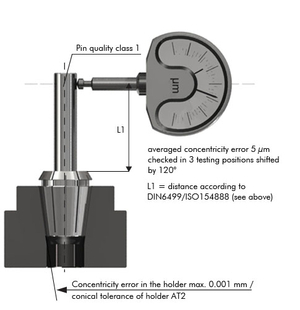 FAHRION collets DIN6499/ISO15488-B (ER/ESX) set the standard of concentricity and repeatability, which is 5μm for the types GER11-B up to GER40-B and 2μm for the types GER11-HP up to GER40-HP. 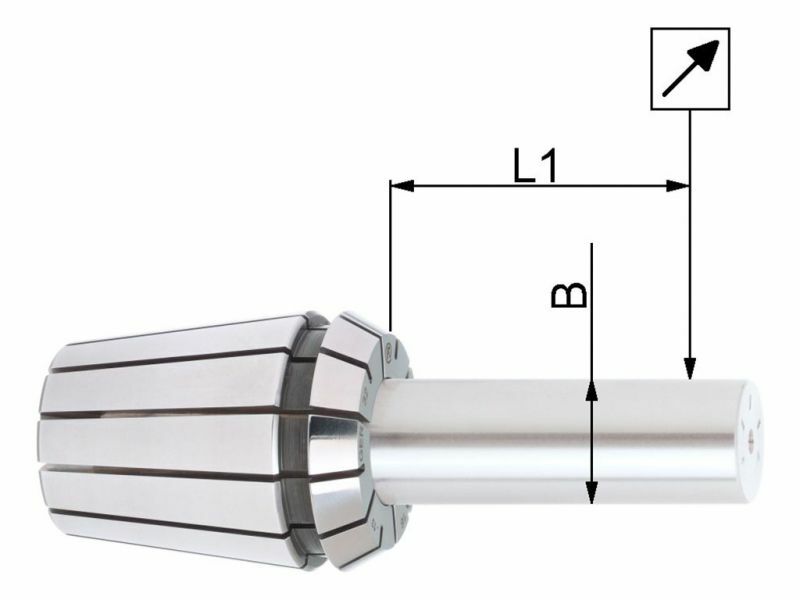 12 slots are sufficient in order to reach the required collapse to DIN6499/ISO15488. This is possible because of a special steel produced for us and a particular harmonized heat treatment. Compared to 16 slot collets, our collets have less tendency to distort. 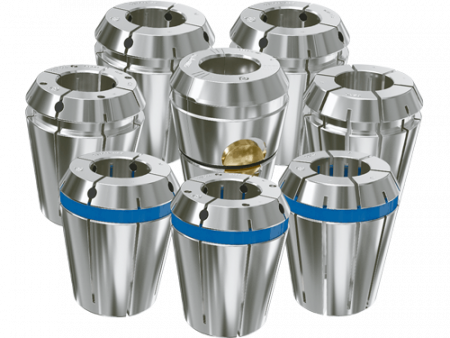 All edges are not only deburred, but additionally rounded, which is a prerequisite to protect the inner cone of the collet chuck from marks. Thus, we guarantee consistent concentricity at the highest level. Only original FAHRION collets forms GER-B, GER-HP and GER-GB are indicated by this trademark. 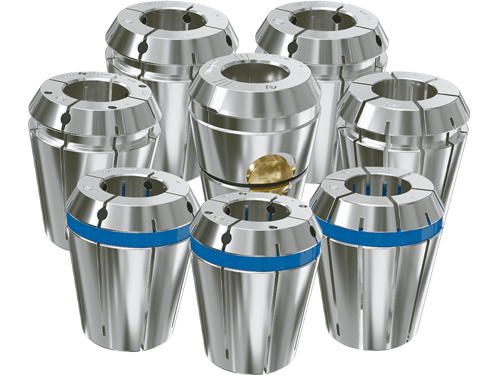 For applications which require highest concentricity, it is absolutely necessary to pay attention to the complete system (machine spindle, collet acceptance, clamping nut, collet and cutting tool). Result: Cheap collets almost triple the costs!